Boules. Is there anything more French, more provençal? This photo was taken at the top of Gorbio village under the olive trees. Des boules. Y a t-il quelque chose de plus français ou de plus provençal? Cette photo a été prise dans le haut du village de Gorbio sous les oliviers. A perfectly composed photo, Jilly. 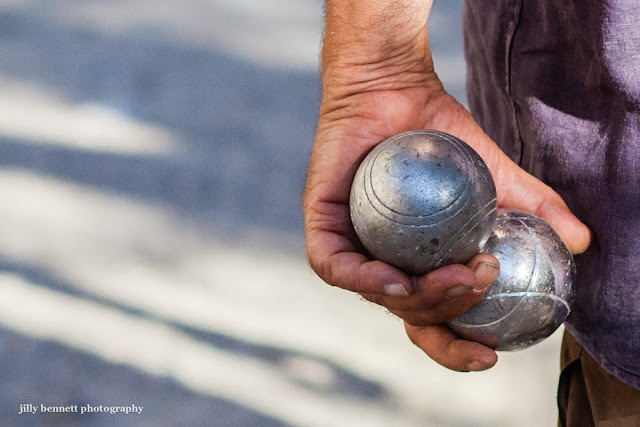 And the hands tell that they've been up to many a physical task before taking a break for playing boules.